Please see Deerfield Beach Real Estate. 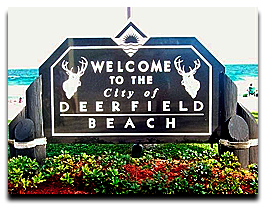 Deerfield Beach is named for the numerous deer that once roamed the area. In recent years, development near Deerfield’s beachfront has been a major source of local controversy. Groups such as “Original Save Our Beach” have actively opposed this development. In 1951 the town name was changed to the City of Deerfield Beach. The economy gradually continued to evolve away from agriculture toward tourism. 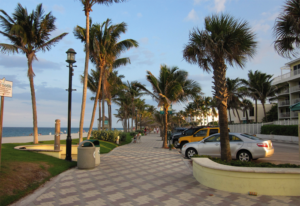 Deerfield Beach is located between Boca Raton to the north and Pompano Beach to the south; with 1.2 miles of beach bordering the Atlantic Ocean. Its sister city is Acre, North District, Israel. 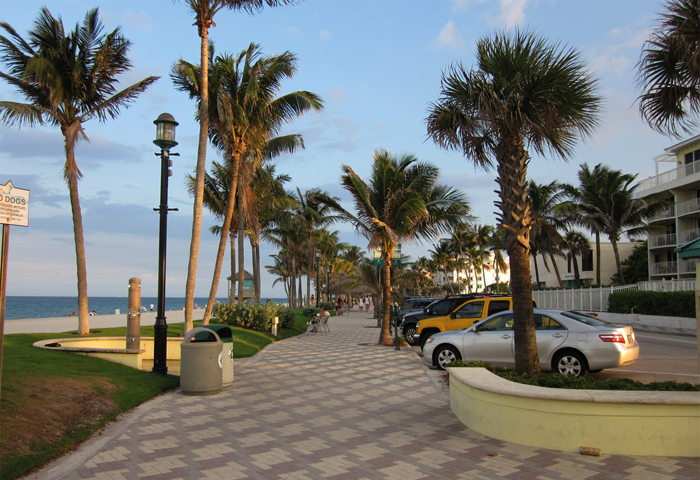 To experience South Florida’s beaches without encountering large crowds, Deerfield Beach is the place to go. The Clean Beach Council awarded the city with the “Blue Wave” beach designation, based on its excellent water quality, beach conditions, safety services, public information and habitat conservation policies. Also found here are attractive shopping and dining opportunities. In addition, the city is home to Quiet Waters Park, which features campgrounds, fishing, a skate park and the longest “cable ski” courses in the nation. A hybrid of surfing, skiing and wakeboarding, cable skiing is rapidly growing in popularity, and you can try it at the park’s 2,700-foot oval course. The City of Deerfield Beach provides customer-oriented services, which create a quality of life that, encourage residents and employers to enjoy South Florida and prosper in an ever-growing international economy. Residents enjoy plentiful parks, open space, a pristine one-mile stretch of beach and a 920-foot fishing pier. Shell collectors will certainly have their hands full exploring the 3,000 feet of Deerfield’s publicly available shore and surf, with its deep sand and sandy nooks. Those interested in taking a walking tour through undisturbed wildlife will have a relaxing and educational trek through Deerfield Island Park, which is only accessible by boat. Deerfield Beach is a relaxing beachfront community plenty of activities for kids, from water sports to outdoor activities to natural excursions. The City is also host to the Womens Professional Volleyball Association Tour and Superboat International Powerboat Races.